No appointed official has had a more profound effect on American diplomacy than Henry A. Kissinger. Born in Germany, he fled Nazi persecution with his Jewish family in 1938 and settled in New York. Educated as a political scientist he rose through academia to become adviser for national security affairs and then secretary of state in the administrations of Richard M. Nixon and Gerald R. Ford during 1969–1976. 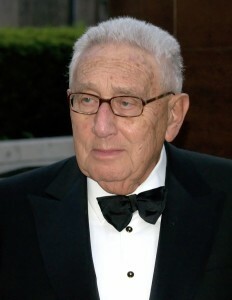 Kissinger was a major influence on Nixon’s policy of détente with the Soviet Union and, especially, with China, and was instrumental in formulating Nixon’s Vietnam War policy. It was Kissinger who negotiated peace with North Vietnam’s Le Duc Tho, for which he was awarded —jointly with Tho—the 1973 Nobel Prize for Peace.